On the hunt for offline game-based learning fun? We’re switching gears a bit today – instead of talking about video games like we usually do, we’re going to take a look at another equally valuable facet of the game-based learning world: educational board games. The fact is making a game of any sort is an extremely challenging task. But you know what’s even more difficult? Creating learning games intended to make a real-world impact– which is why we’re dedicating today’s blog to highlighting some of the finest educational board games available on the market. Check out our picks, then let us know on Twitter if you’ve found success with other board games, too! Remember Scholastic’s I Spy book series? If you grew up in the 1990s or early-2000s, it’s likely you’ve spent hours painstakingly searching for hidden objects among the densely-packed pages of this beloved book series. 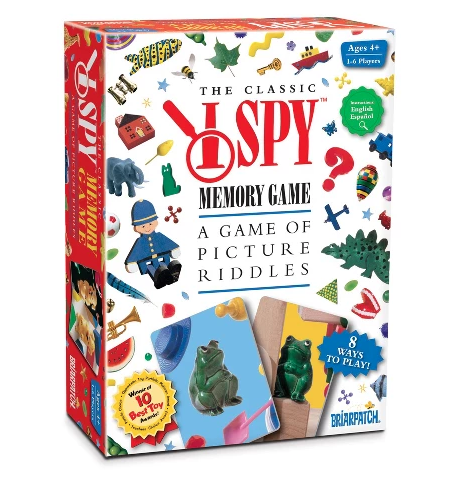 Designed to take the interactivity of the books to a whole new level, the I Spy Memory Game is a board game conversion of the classic children’s picture riddles, letting players ages 4+ to practice their visual discrimination, memorization, and reading skills through basic matching of memory card pairs. Learn more about I Spy Memory Game on Amazon. A satisfying strategy board game similar in style to Sequence, Scrabble, and Othello, the key to success in Qwirkle is simple: match tiles based on color or shape to win points. Easy, right? 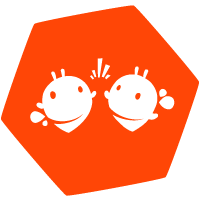 But the real fun, according the the game’s creators, is the process of devising your winning strategy- perfect for helping players hone in their planning and problem solving skills. Winner of the prestigious Parent’s Choice Gold Award, Qwirkle supports 2-4 players and is recommended for ages 6+. 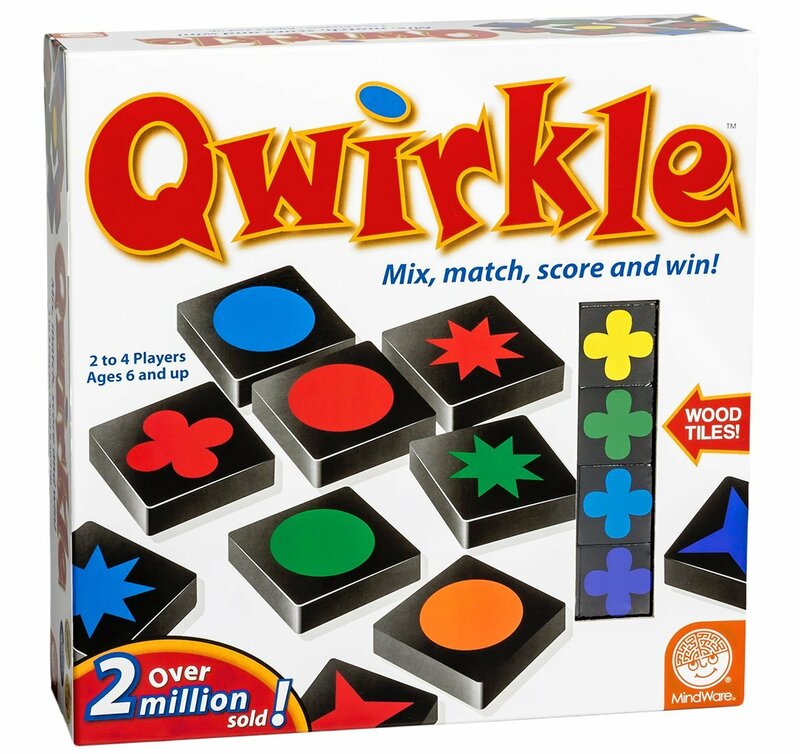 Learn more about Qwirkle on Amazon. Lots of board games help players practice their memorization and problem solving skills…but what about other important topics like math or science? 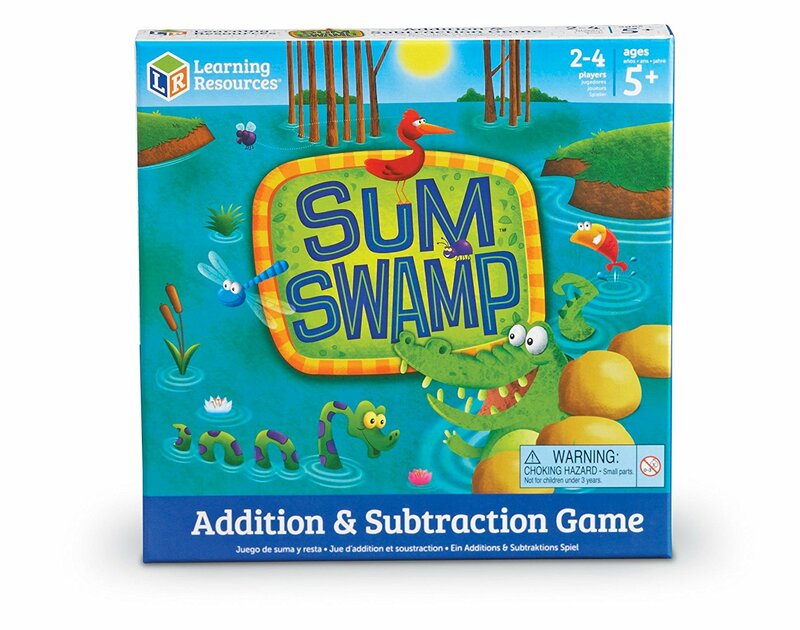 Sum Swamp, created by Learning Resources, challenges players ages 5+ to traverse the hilarious pitfalls of the Sum Swamp, sharpening their addition and subtraction skills along the way. Learn more about Sum Swamp on Amazon. Bananagrams is truly an educational board game classic! Designed for ages 7+, players must race against each other to spell as many words as they can before time runs out, creating crossword grids using Scrabble-like letter tiles. Oh, and the game comes packaged in a banana-shaped bag which is hilarious (and super convenient for travel). 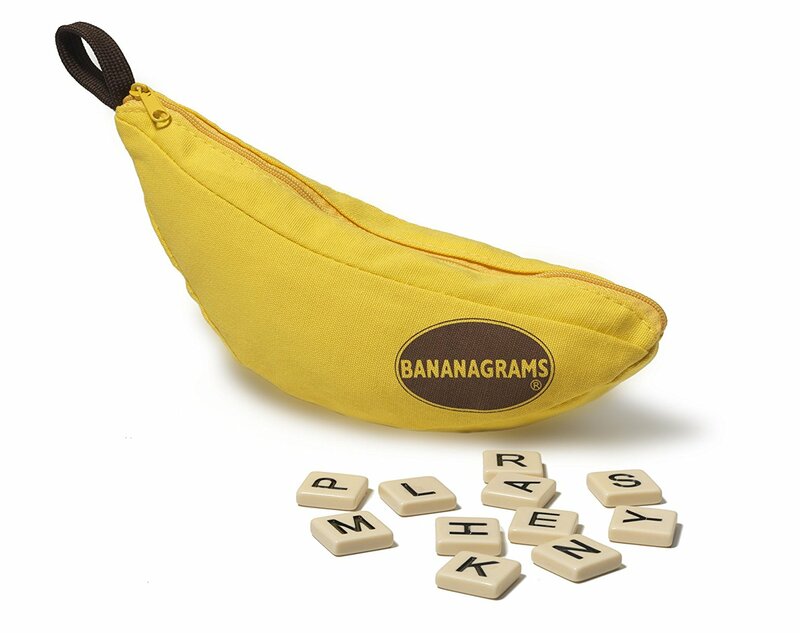 A brilliantly fun way to practice word and spelling skills, Bananagrams is a must-have for families, schools, and word game-lovers alike. Learn more about Bananagrams on Amazon. 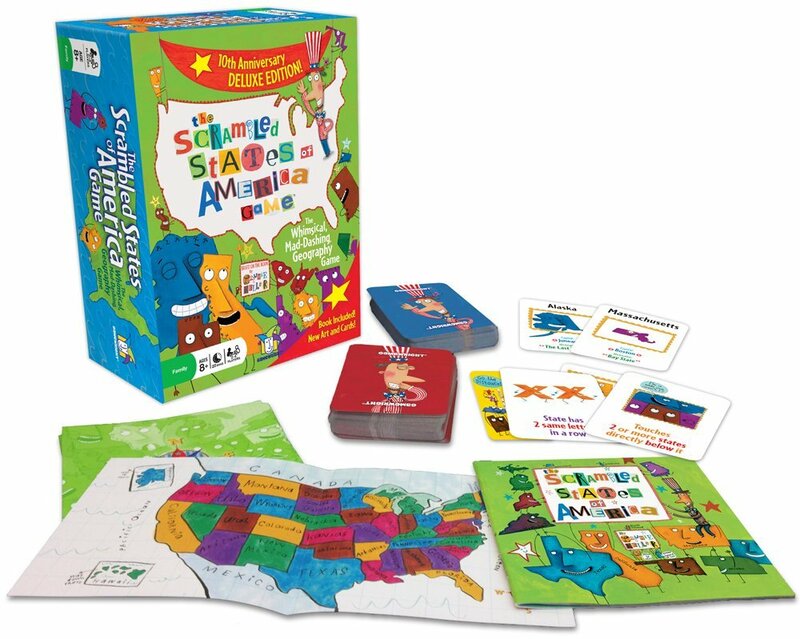 Based off of Laurie Keller’s book of the same name, The Scrambled States of America teaches basic U.S. geography via whimsical, fast-based language riddles and visual challenges. Covering the names, capitals, shapes, and positions of all 50 U.S. states, Scrambled States makes an excellent game-based tool for young geography learners ages 8+. Learn more about The Scrambled States of America on Amazon. 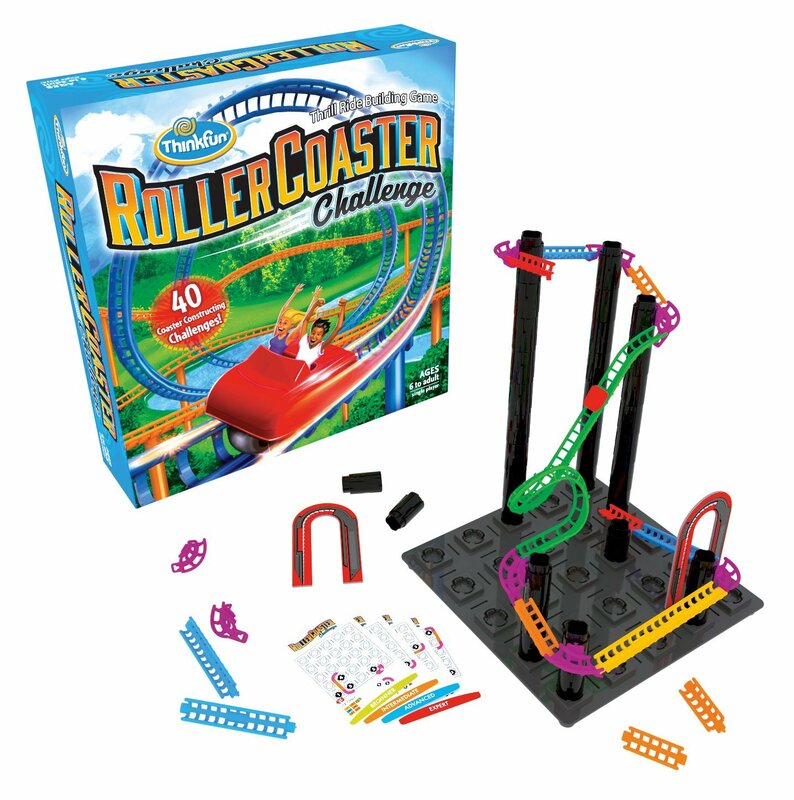 Described as 50% logic game and 50% roller coaster building set, Roller Coaster Challenge lets players build their own miniature amusement park, solving mind bending engineering and puzzles challenges along the way. Intended for ages 6+, young thrillseekers looking for a challenging, hands-on learning experience are likely to love Roller Coaster Challenge. Learn more about Roller Coaster Challenge on Amazon. A coding learning game…that doesn’t require a computer!? 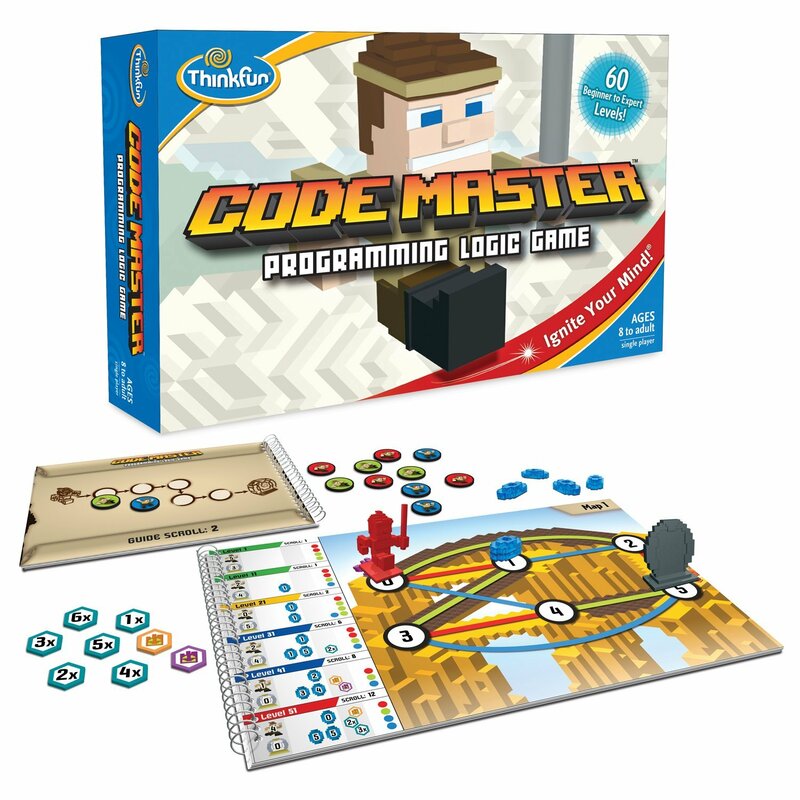 Say hello to Code Master- the programming logic board game from ThinkFun (who also developed Roller Coaster Challenge, mentioned above). In addition to teaching reasoning and problem solving skills, the game also introduces players to more real-world programming concepts like loops, conditional branching, and more- ideal for ambitious young learners ages 8+. Learn more about Code Master on Amazon. Created by friend of Filament Lamont A. Harrell Jr., Election Day: The Game aims to teach the intricacies of campaigning for political office. To achieve electoral victory, players must rely on a combination of luck and strategy- raising campaign funds, running political ads, and outsmarting their opponents while uncovering the most exciting aspects of the campaign process along the way. 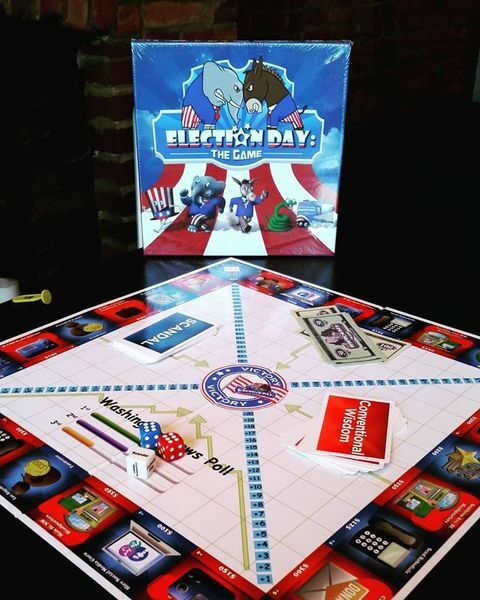 Learn more about Election Day: The Game on their official website. Have you tried any of the above board games? Perhaps you’re aware of another educational board game that you believe is worth a spot on our list? Find us on Twitter and join the conversation!